The shortest distance between two points is a line. Or is it a curve? 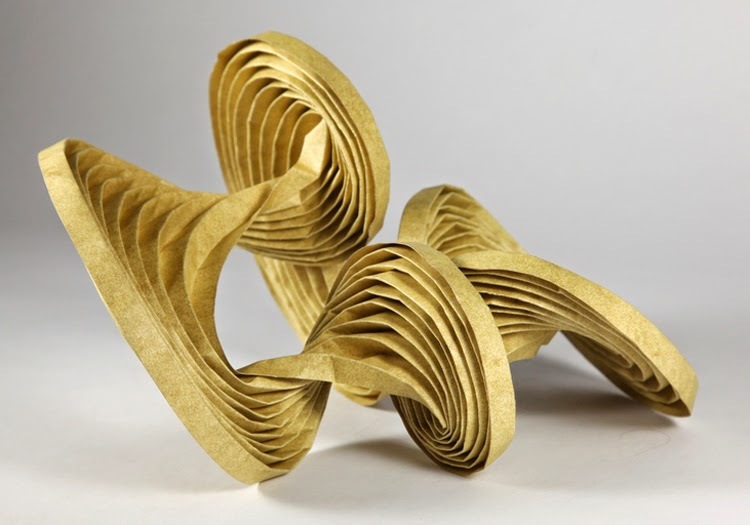 American father-son artist duo Martin and Erik Demaine combines applied mathematics and origami that results in beautiful complex forms that appear to be undulating in motion while remaining completely static. 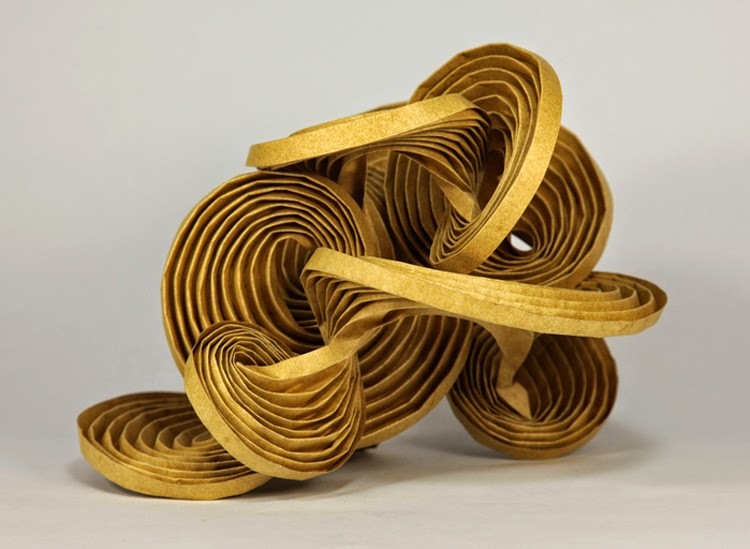 When folded along curved creases, paper shapes itself into a natural equilibrium form. 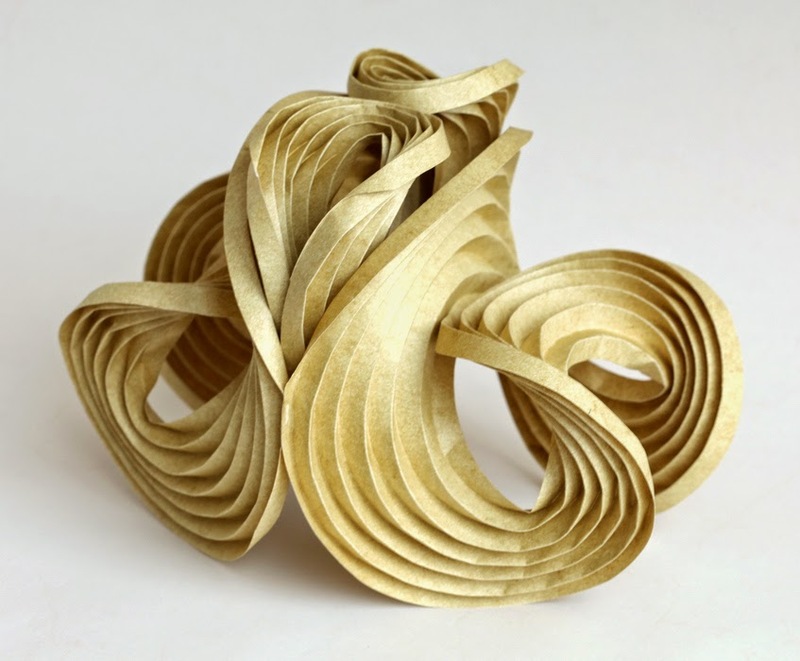 These equilibria are poorly understood, especially for curved creases. 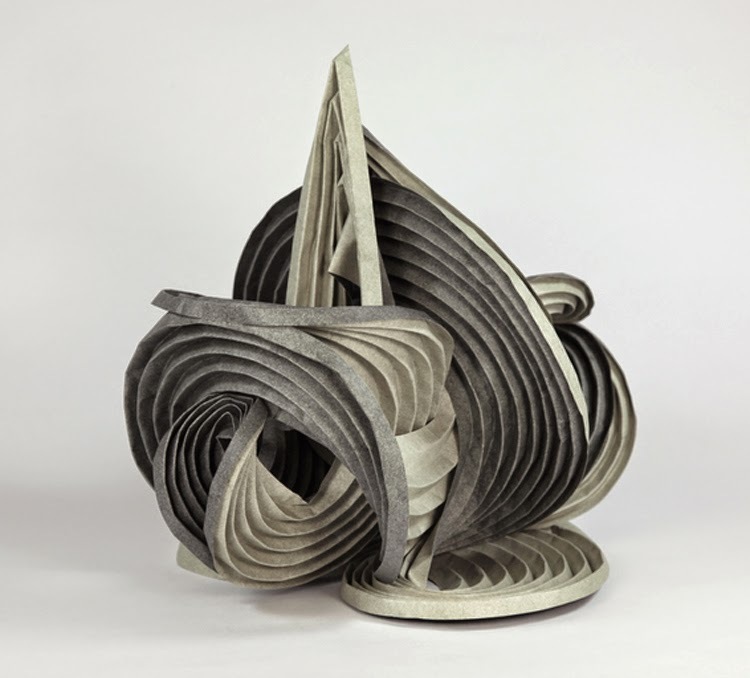 The duo explores what shapes are possible in this genre of self-folding origami, with applications to deployable structures, manufacturing, and self-assembly. 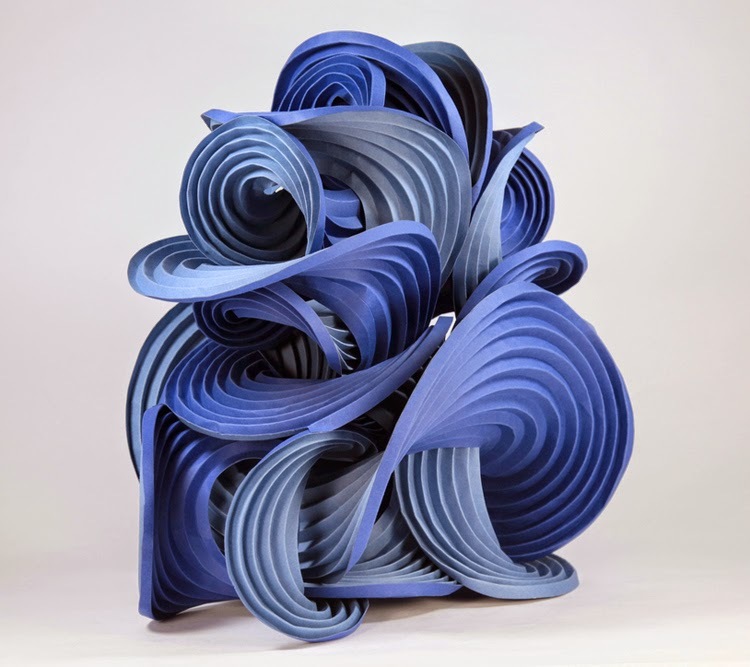 This transformation of flat paper into swirling surfaces creates sculpture that feels alive. 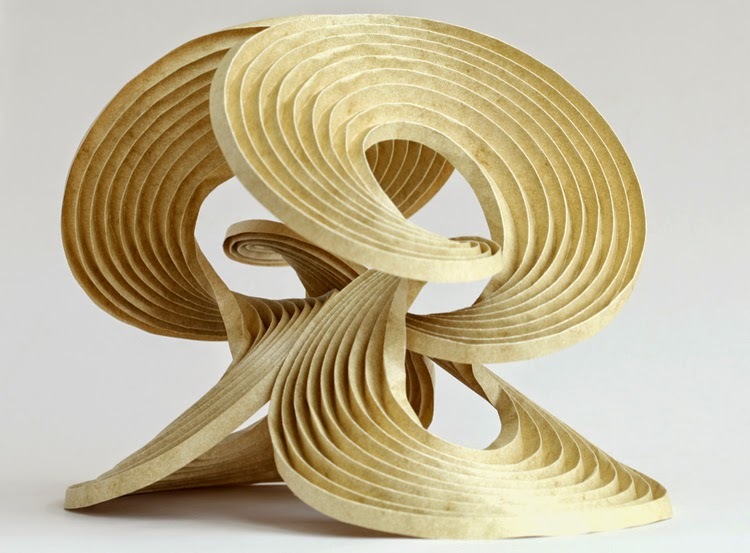 The stunning forms that emerge from the mathematical relationships in their work underlies the realization that mathematics is an art form. 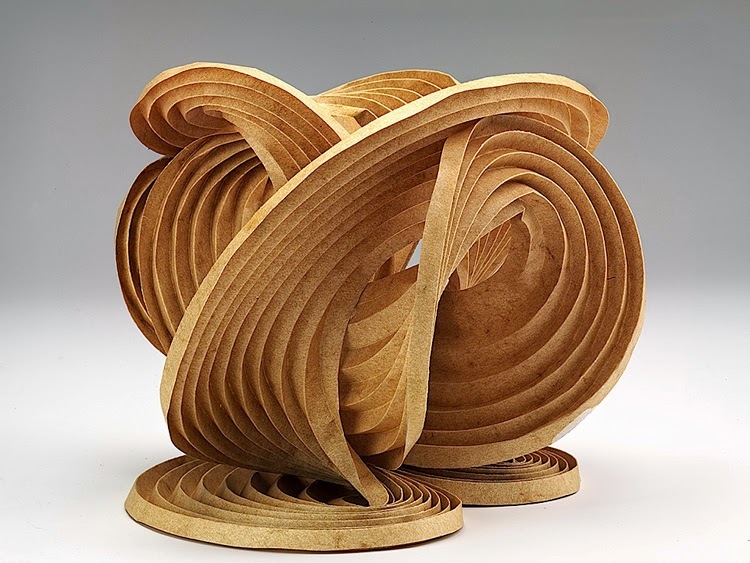 Via Trend Tablet.